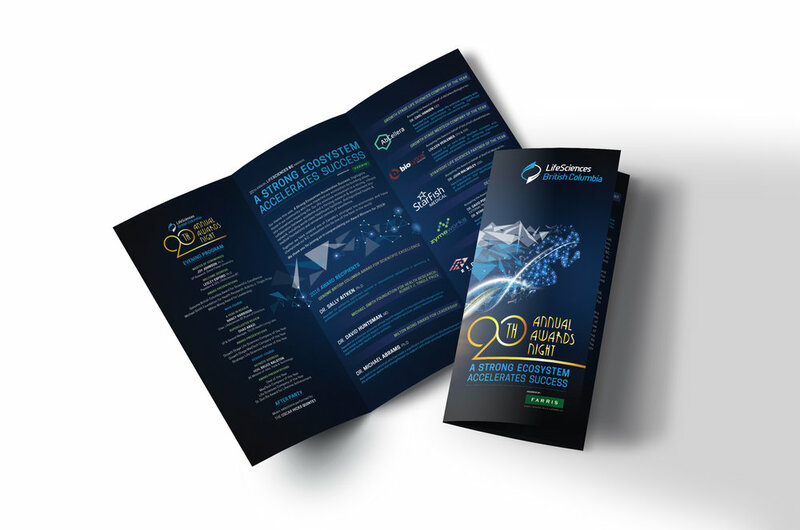 2018 marked the 20th year that LifeSciences BC has brought the community together to recognize the past year’s industry and research achievements. LSBC wanted to mark the 20th annual award gala with a whole new, more elegant look. Working with the dedicated team at LSBC, biofilm set out to develop and design a set of graphics that would elevate the event and reflect the organization’s mantra: A Strong Ecosystem Accelerates Success. The 20th annual LSBC awards night design & style palette. Our team uses this information to maintain the brand elements throughout the print, display and digital deliverables. The biofilm MEDIA team designed and delivered the evening’s program, signage, event slide deck, digital emailer, Business in Vancouver print ad, and award winner videos. 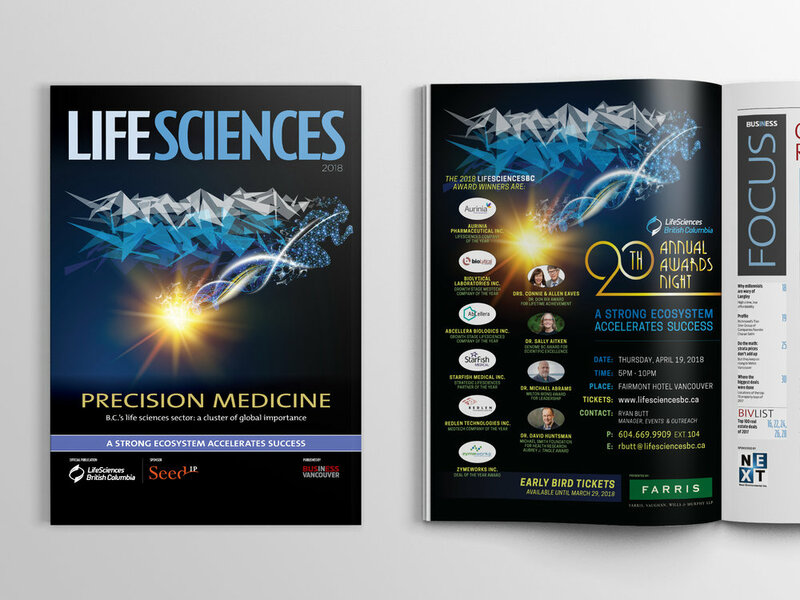 Our team was also excited to have the main program graphic (sprinter & mountains) selected to be featured on the cover of the 2018 LIFE SCIENCES magazine.